Prints are to fashion what air is to life. 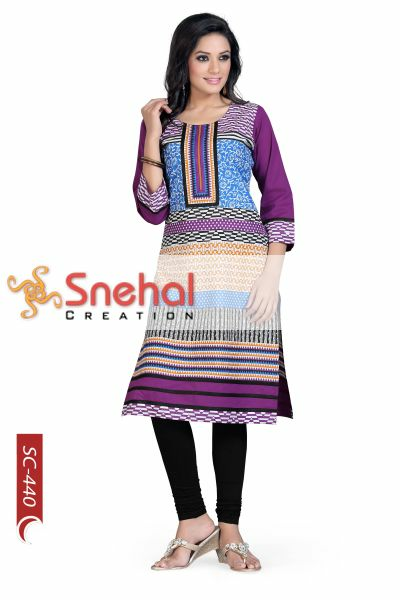 Choose this attractively printed Gracefully Gypsy Vari-hued Cotton Designer Long Tunic from Snehal Creation and stand class-apart on style front. 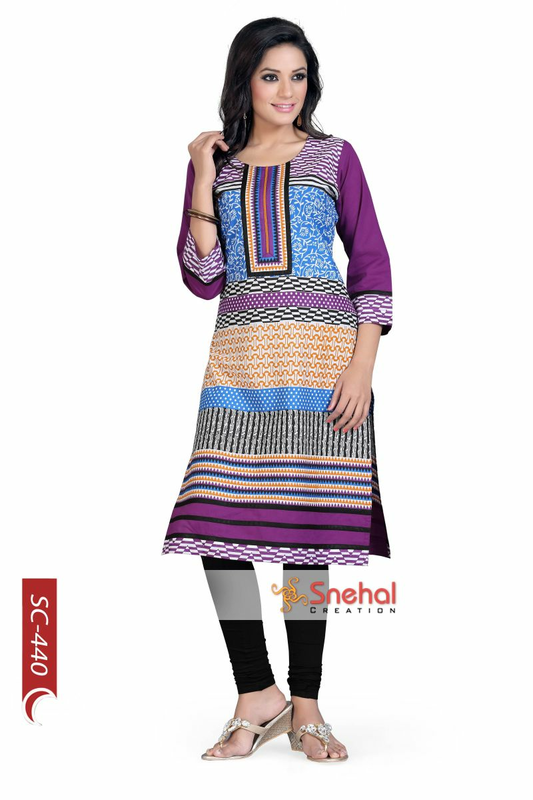 The tunic is an assembly of various horizontally running prints all in different colours. 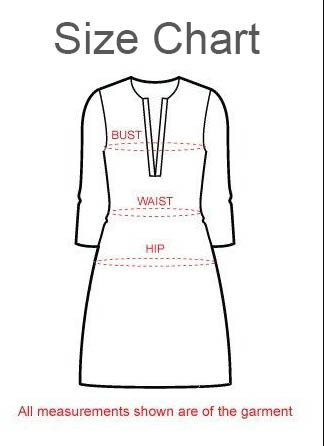 This is followed by a round neck and a distinct neck panel. 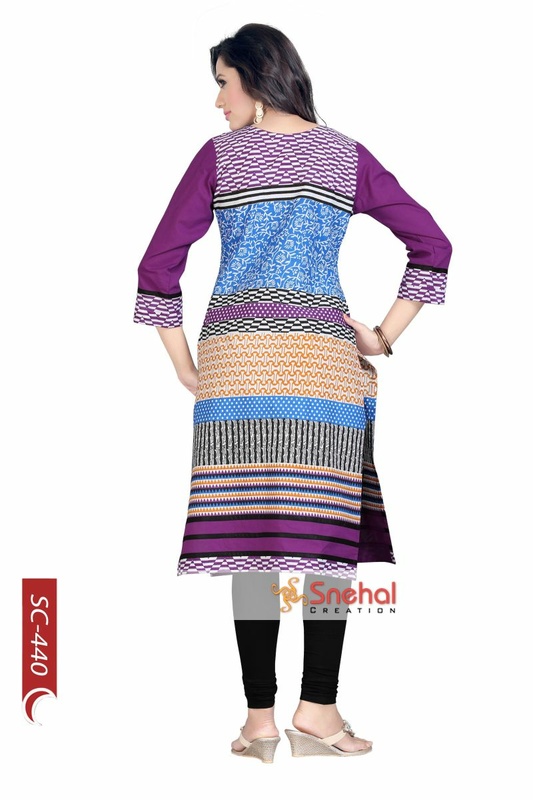 The three quarter sleeves of the tunic are plain except the printed design at its cuffs. This one is a must- have!